Not every new variant of vehicle is newsworthy, but Acura’s A-Spec on the MDX, the best-selling three-row luxury SUV ever, is definitely worth a headline. Here’s an oldie but a goodie: this sporty SUV is coming to a dealer near you! 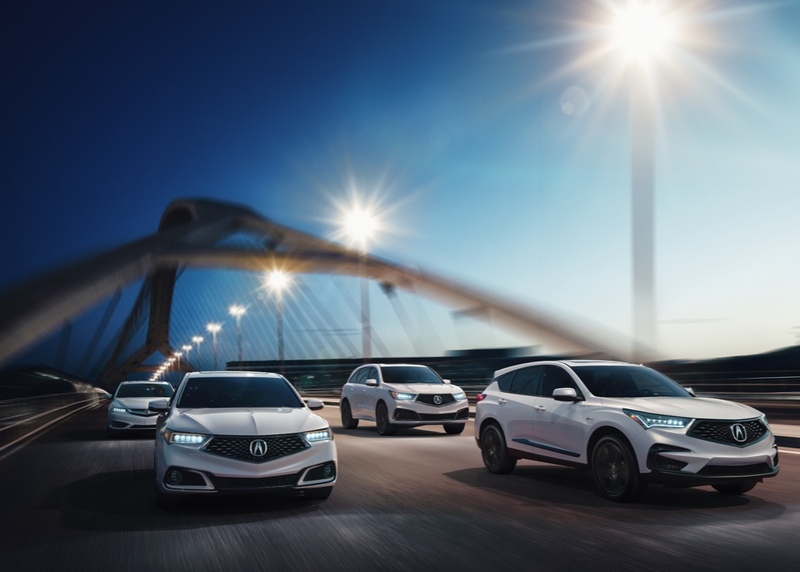 The 2019 MDX A-Spec got a surprise debut at the 2018 New York Auto Show last month, joining the existing A-Spec models, the ILX A-Spec and TLX A-Spec, as well as the 2019 RDX A-Spec, which was also revealed at the New York show. 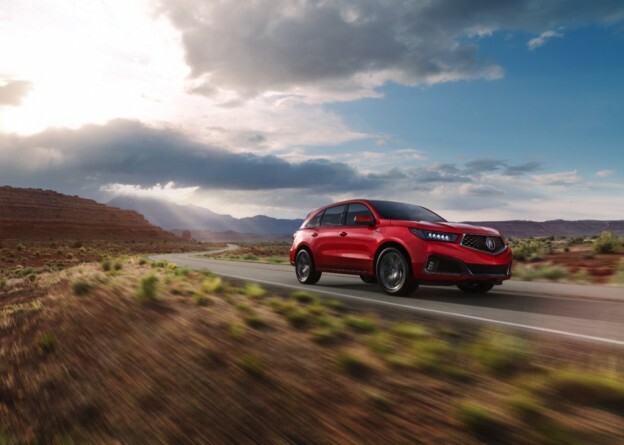 The newest MDX comes exclusively with torque vectoring Super Handling All-Wheel Drive (SH-AWD), and a pick between the 290 or 352-hp powertrains. Naturally, you can’t have new threads without new shoes; the MDX A-Spec sits on exclusive 10-spoke, 20-inch Shark Grey allow wheels fitted with low profile tires. Forwarding the message of sportiness are other exterior changes like new front fascia, pronounced sills, wider exhaust tips, and gloss-black and dark chrome trim around the tailgate spoiler, grille and headlights. The interior gets sports seats in your choice of red or black leather with Alcantara leather detailing, red contrast stitching, a unique steering wheel with paddle shifters, faux carbon console trim, sport pedals and A-Spec gauges that light up in red. Beneath the A-Spec badge is the luxury SUV that drivers and critics alike have come to know and trust. 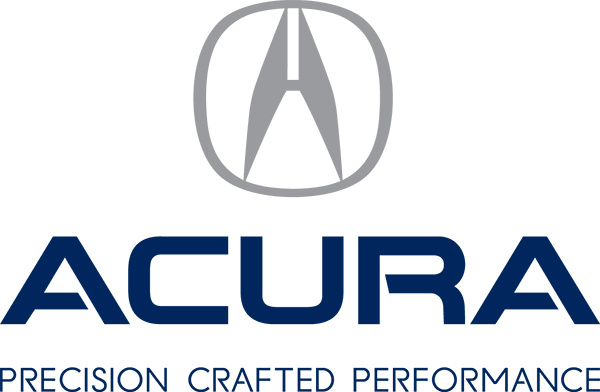 The 2018 Acura MDX was recently voted Best Large Utility Vehicle in Canada by the Automobile Journalists Association of Canada. It’s quiet and comfortable, with useful trim options beyond the A-Spec—like the Elite package, which swaps the second-row bench seat for two captains chairs—and loads of standard safety features. The brand’s AcuraWatch suite comes standard, with Adaptive Cruise Control with low-speed follow and Road Departure Mitigation, Lane Keeping Assist, Forward Collision Warning, Lane Departure Warning and Collision Mitigation Braking System. 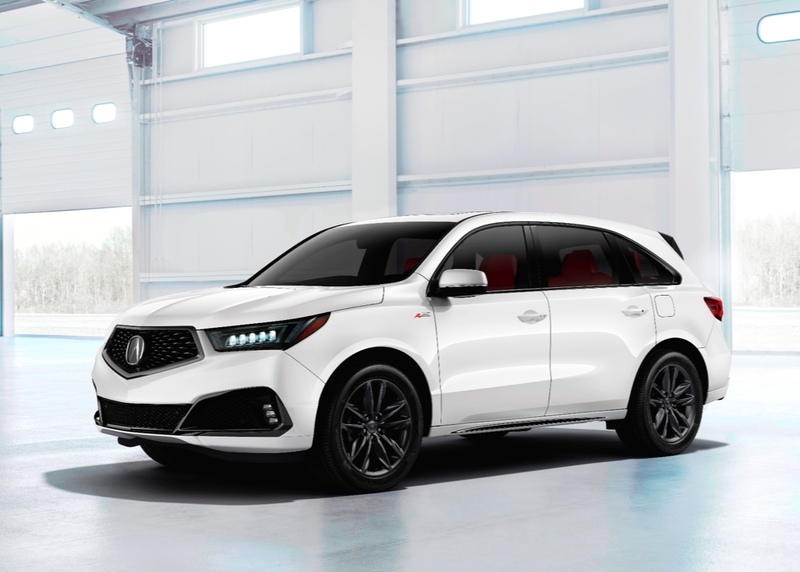 The Acura MDX A-Spec will be available at Policaro Acura in the coming months. Contact us to pre-book a test drive. This entry was posted in Blog on April 30, 2018 by Administrator.